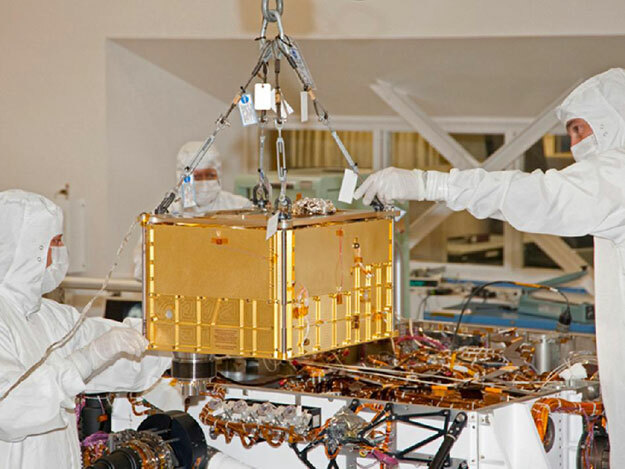 A Martian dust storm that NASA's Mars Reconnaissance Orbiter has been tracking since last week has also produced atmospheric changes detectable by rovers on Mars. 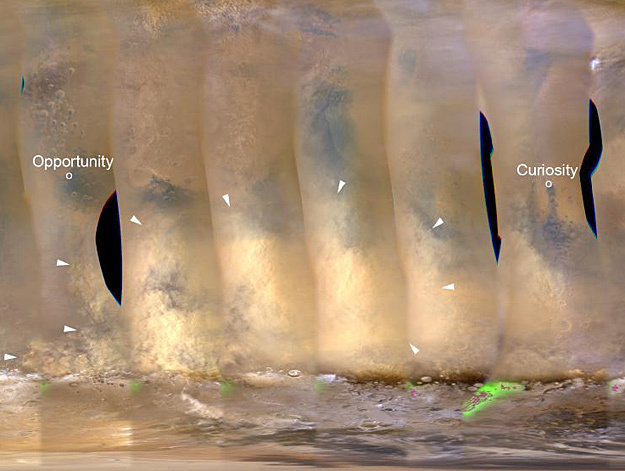 A team of scientists, including Carnegie's Conel Alexander and Jianhua Wang, studied the hydrogen in water from the Martian interior and found that Mars formed from similar building blocks to that of Earth, but that there were differences in the later evolution of the two planets. 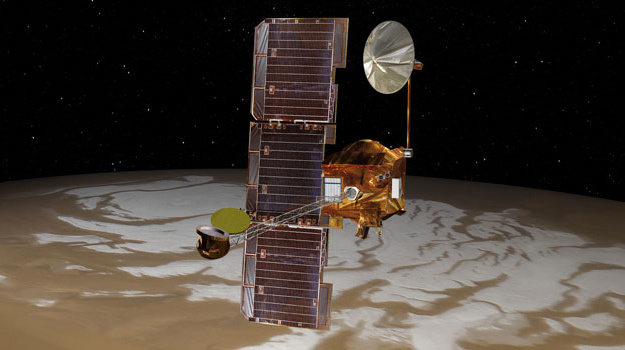 The NASA Mars Odyssey orbiter has resumed duty after switching to a set of redundant equipment, including a main computer, that had not been used since before the spacecraft's 2001 launch. 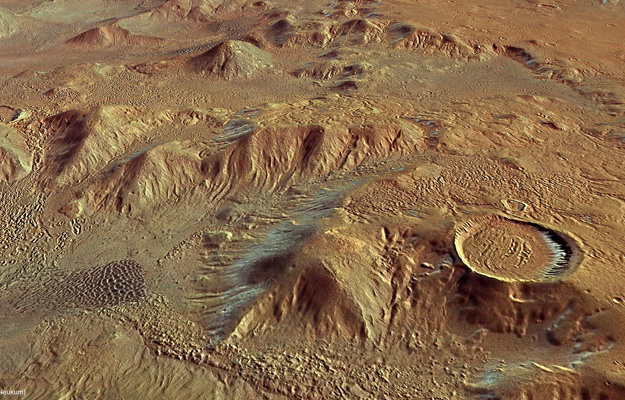 On 6 June, the high-resolution stereo camera on ESA's Mars Express revisited the Argyre basin as featured in our October release, but this time aiming at Nereidum Montes, some 380 km northeast of Hooke crater.